First responders rely on accurate, real-time information to make the best decisions. With Vivint's alarm system monitoring, you can rest easy knowing specially trained Vivint agents are standing watch 24/7/365, collecting the data that every emergency professional needs in the event of a break-in, fire, or medical emergency. You can even house your security camera recordings on your synced Vivint Playback and watch them on your mobile device. Complete your Vivint Smart Home with security system monitoring, and access to life-saving care will be just a touchscreen away. 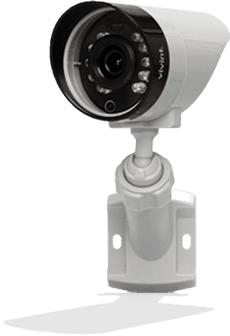 Learn more about security camera recording and 24/7 monitoring, and receive a complimentary security system monitoring estimate. As a leading security monitoring company, Vivint is your source for high quality home protection designed to suit your family's unique needs.